Favored by many for its amazing and varied taste, Balinese cooking courses are a fabulous introduction for you to get the skills of this amazing cuisine. Led by professional English-speaking chefs, this cooking experience is truly a remarkable one. A driver will pick you up from your hotel at around 08:00 hrs and we drive towards your Nusa Dua cooking school for a half day hands-on cooking experience where you will learn the finer art of cooking Balinese food in a Balinese-style environment. This school is among the most reputable ones in the capital. You are warmly welcomed by the team of professionals who guide you through step by step to learn the basics. Before we start with the course, you will be served breakfast and move afterwards to a local market to source the ingredients and learn all about the spices, vegetables and seafood used to get that particular flavor. 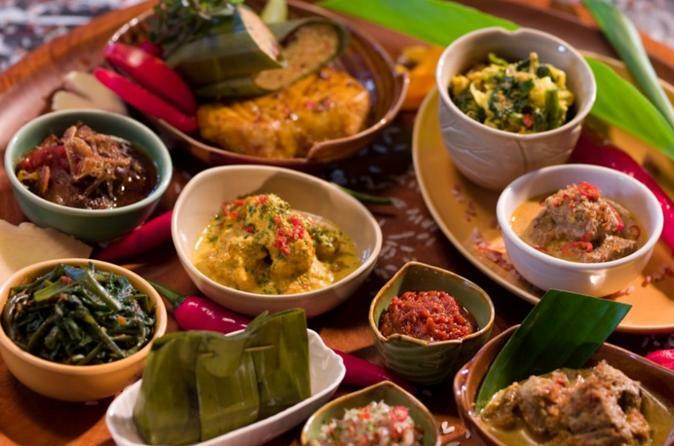 In recent times, Balinese food has emerged as one of the world’s favorite cuisines. It is not just delicious; it is also extremely healthy with the emphasis on fresh ingredients and a subtle balance of flavors. Most of the ingredients used in Indonesian cooking carry medicinal benefits. A wide range of fresh herbs and spices are often found in Balinese kitchens. Depending on the season, the preparation of the various dishes may slightly vary but will always be associated to represent the true taste of Bali. Each student will get his own cooking station, supervised by a team of true cooking professionals and experts in taking ingredients. Outside learning more about the history, each student will also get insights in how to prepare and use the fresh ingredients for each dish. Recipes, experiences and the chance to eat what you have cooked are all part of the fun and educational morning and to bring back home to impress your guests with these new skills. In the end, you will have the skills and the recipes at hand to whip up a Balinese feast for family and friends. After savoring your own Balinese dishes, your driver (no guide included) brings you back to your hotel, where you will arrive at around 14:00 hrs.